I’ve recently returned from an amazing trip to the “Land of Fire and Ice” which of course was filled with varying weather conditions typical of the territory. It was my second visit to Iceland but a new itinerary that would make a full circular route around the island that included the Snæfellsnes Peninsula as well as the Þingvellir National Park. The weather lived up to its reputation during the trip, travelling through the rain in the West, deep snow in the North as well as Eastern Fjords and then contrasting mild, spring-like weather in the South. Experiencing these weather conditions in one trip was nothing new but having the newly released SIGMA 28mm F1.4 DG HSM | Art lens with me was a new experience and it proved to be the prime location to test this new SIGMA | Art series F1.4 lens! For my landscape images, I normally use my SIGMA 24-70mm F2.8 DG OS HSM | Art lens which of course I brought with me on the journey along with my new SIGMA 70-200mm F2.8 DG OS HSM | Sport lens for the longer telephoto coverage. I really wasn’t sure what to expect from the new SIGMA 28mm | Art lens as I don’t normally use a prime focal length lens. However, I was determined to do something different on this return visit to Iceland and therefore decided using this new prime lens would be a change to my usual photographic approaches. 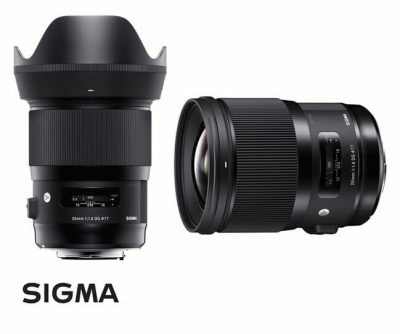 My first impression of the lens was no different than my other out of box SIGMA experiences and I was greeted with a high-end-quality, beautifully crafted SIGMA Art lens. I automatically knew from the feel of this lens in my hand that the image quality would match that of the other SIGMA lenses I’ve grown accustomed to using and love. I also knew that the wide F1.4 maximum aperture and the 28cm minimum focusing distance would provide me with some great photographic opportunities which would enable me to capture more intimate and close up images with wonderful detail. Since I was already familiar with most of the locations planned for the journey, I was able to put together a list of the shots I hoped to capture during the trip. Capturing some bigger vista images and panoramic images were definitely on the list but since I would have the SIGMA 28mm | Art in hand, I also included more intimate Iceland images on my list for this journey. Our first stop was Öxarárfoss in the Þingvellir National Park; a waterfall that flows from the river Öxará over the Almannagjá where the North American and European tectonic plates meet. The focal length of the SIGMA 28mm | Art lens was almost perfect for this image taken from a viewing platform opposite the fall. After trying only a few different compositions, I selected this as my final as I was so happy with the result. 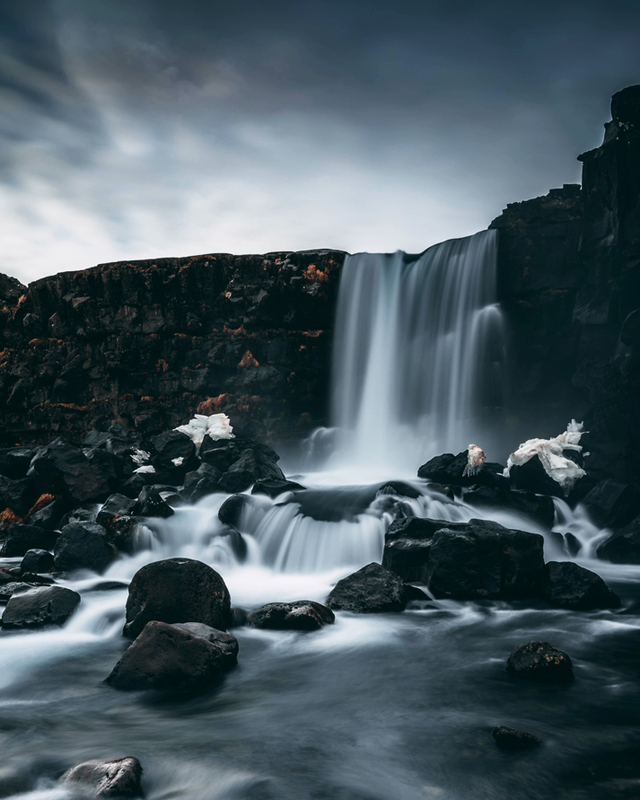 I found when using an ultra-wide angle lens it was easy to get more into the shot but then felt things like the waterfall can get lost in the image. Using the SIGMA 28mm | Art allowed me to just focus on the fall and the water flowing away from it, and for me, this made a better image. 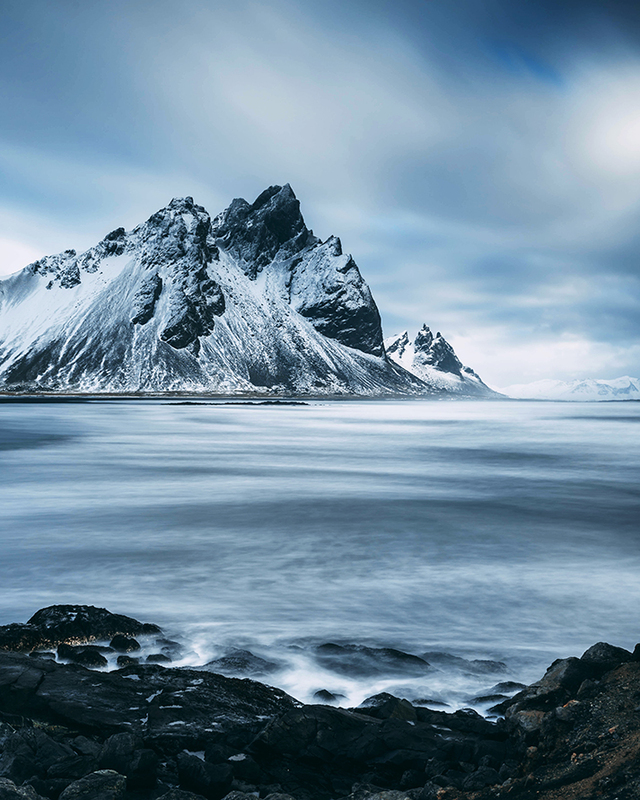 The next photo location where the SIGMA 28mm | Art was put to the test was Vestrahorn, on the Stokksnes peninsula in the South-East. This was a place I’ve been before but had only shot a wide image of the sunrise taking with the full mountain range. On this visit, I just wanted to concentrate on the horned part on of the mountain on the Eastern side with Brunnhorn sticking out from behind it. I was excited about the potential of what I would achieve and the SIGMA 28mm | Art once again was spot on for this image with only a small amount of cropping to get it just how I wanted it. 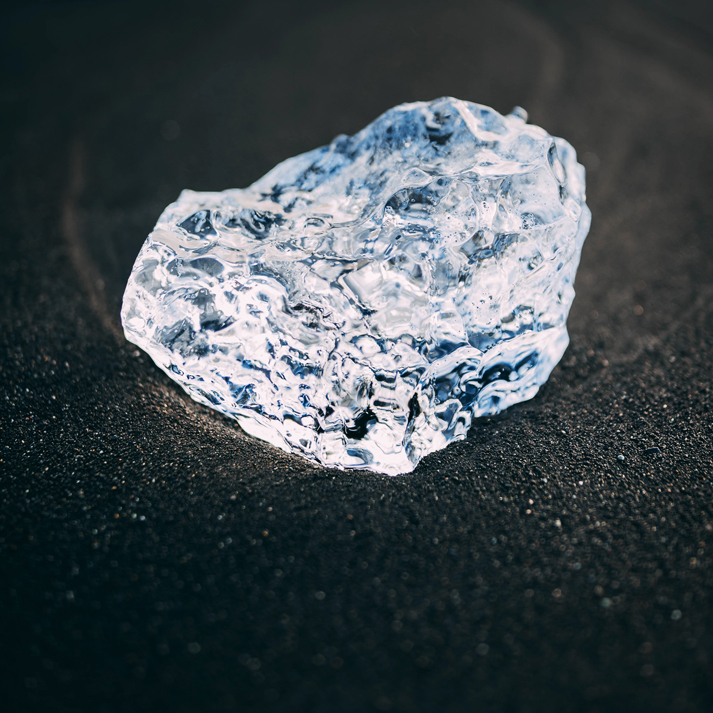 Diamond Beach was the next stop and is known for its black sand beach located near Jökulsárlón Glacier Lagoon on the South coast. The beach was absolutely packed with Ice ranging from the size of a small car, down to the size of a tennis ball. The waves were crashing hard against the chunks of ice and after a couple of attempts, I gave up on long exposures and started shooting handheld looking for those details that I had in mind. The wide aperture allowed for some fantastic shallow depth of field in the images while retaining all of the detail. My next momentous capture seemed to be a perfect scenario for using the SIGMA 28mm | Art. 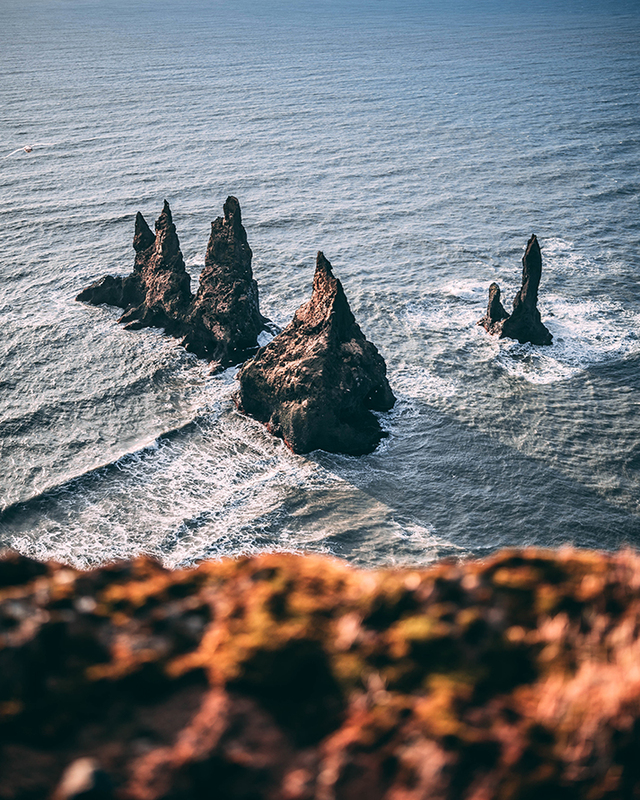 We had walked for three miles to the top of the Reynisdrangar Sea Cliffs in Vík í Mýrdal on the South coast to capture images of the Reynisdrangar sea stacks below. The walk was definitely worth the view, but the wind was very strong, so I had to keep my tripod low to the ground as I was perched right on the edge of the cliff. Shooting low to the ground allowed me to keep the edge of the cliff in the foreground giving more depth to the image and I decided to use a faster shutter speed rather than a long exposure that I would normally go for. 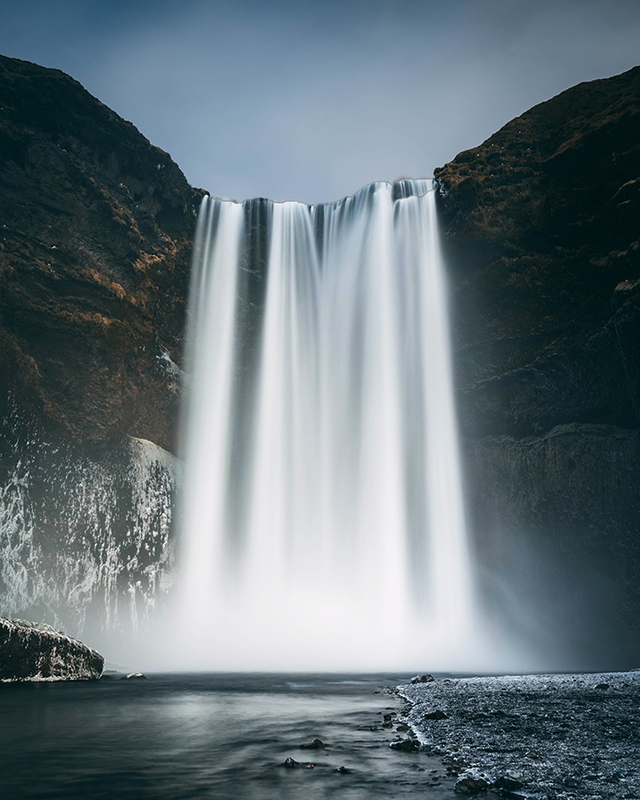 One of the last images I shot with the 28mm was Skógafoss, a 60-meter high waterfall on the South Coast that I find absolutely fascinating. One of the challenges you face when shooting a location like this is the popularity of it and the number of people that are there can be staggering. To capture this image, I had to stand about two meters into the river, in about six inches of water, just so that I could get a view of the fall with no one in it. If I had gone in any further, I would have been too close to get a decent shot and I would have gotten soaking wet from the spray coming off of the fall. I feel my efforts were rewarded however especially with using the SIGMA 28mm | Art once again. It worked brilliantly from where I was standing and after all of the stress of trying to find the right location to form my composition, I achieved images of Skógafoss that I’m happy with. After a week of shooting with the SIGMA 28mm F1.4 DG HSM | Art lens in Iceland, I found that this fixed focal length was fantastic; a bit of an all-rounder. It’s wide enough for some landscape photography, great for getting those detail shots and also works very well as a portrait lens. Landscape and travel photographers tend to carry a range of zoom lenses with them perhaps to keep the amount of gear in their bag to a minimum. However, having a fixed high-quality prime lens like this with you allows you to capture more intimate and close up images of the places you visit which help to tell a more compelling story. I most definitely recommend using the SIGMA 28mm F1.4 DG HSM | Art for the more intimate storytelling of a new region or adventure. It’s a very versatile lens that will work for most of your requirements.